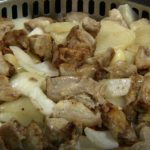 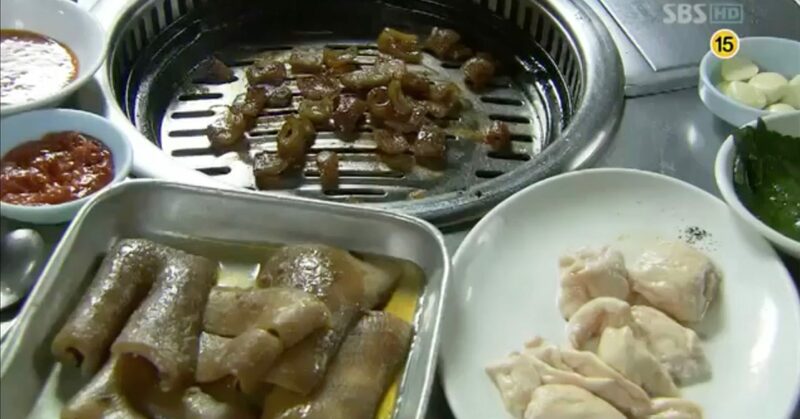 This pork rib restaurant became famous with Secret Garden (시크릿 가든) (SBS, 2010-11). 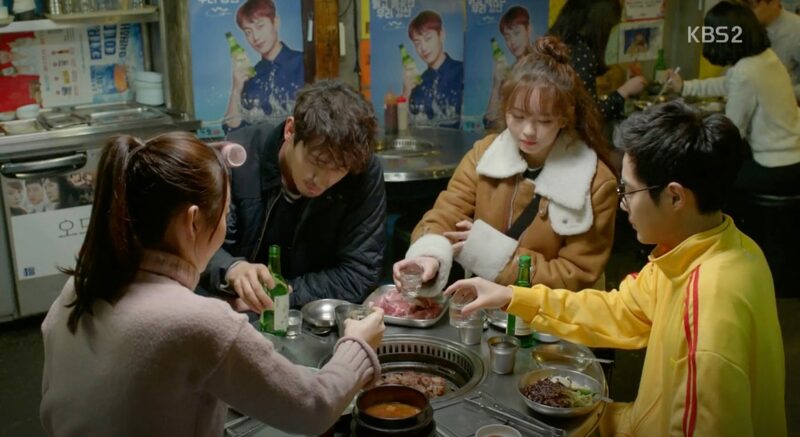 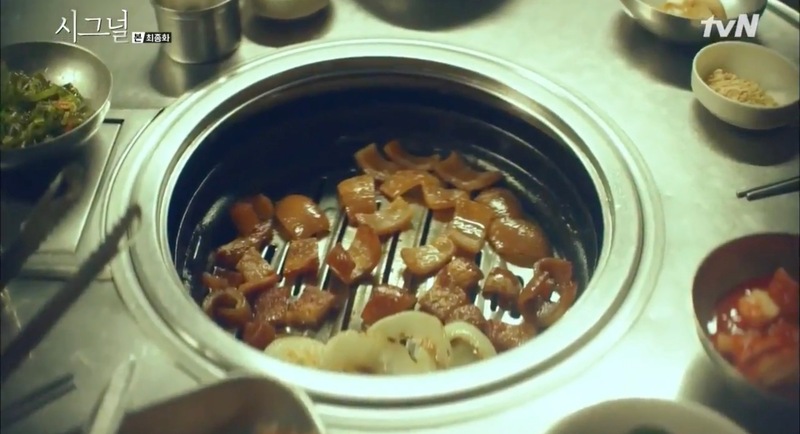 Kim Joo-won (Hyun Bin), Gil Ra-im (Ha Ji-won) and Min Ah-young (Yoo In-na) go here to eat in episode 2 and Joo-Won can’t hide that he is disgusted by the food while the two girls dig in. 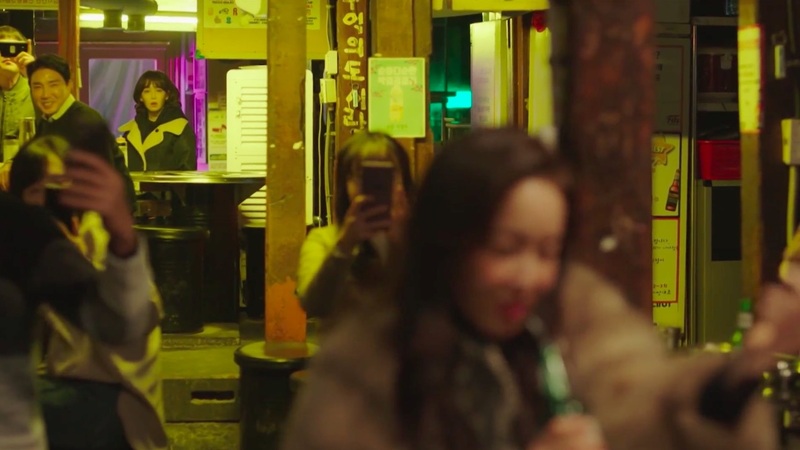 Kim Bo-mi — as Lee Bom — (Lee Yu-ri) comes here in episode 9 (full episode 5) of Spring Turns To Spring/Spring Is Coming (봄이 오나 봄) (MBC, 2019) to look for Lee Bom — as Kim Bo-mi — (Eom Ji-won), who’s been making a fool out of herself and getting too much unwanted attention while drunk. 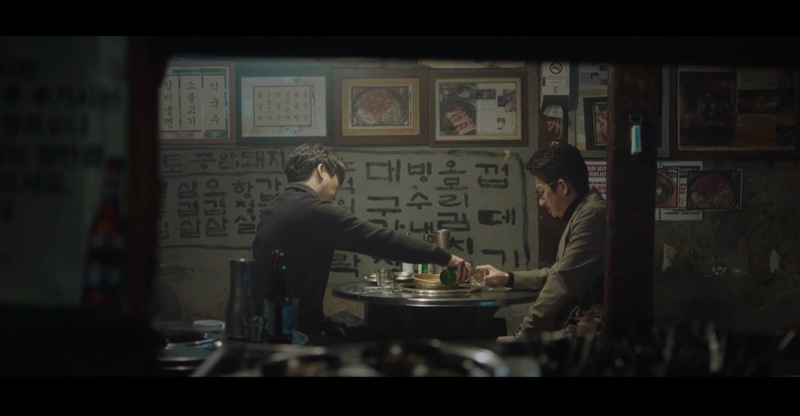 Kang Joon-Sang (Jung Joon-Ho) comes here to drink with his good friend Park Soo-chang (Yu Seong-ju) in episode 18 of SKY Castle (SKY 캐슬) (JTBC, 2018-19) and they reflect on everything that has happened. 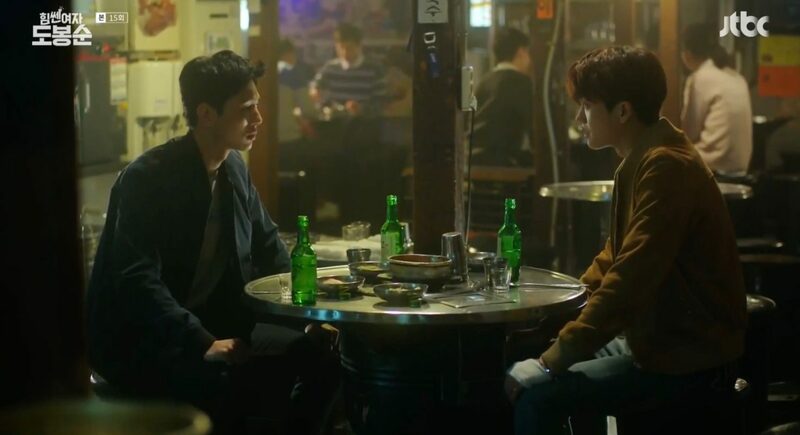 Gil O-Sol (Kim You-Jung) comes here for a drink with Choi-gun (Song Jae-rim) in final episode 16 of Clean With Passion For Now (일단 뜨겁게 청소하라) (JTBC, 2018-19). 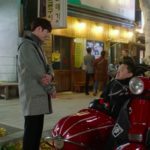 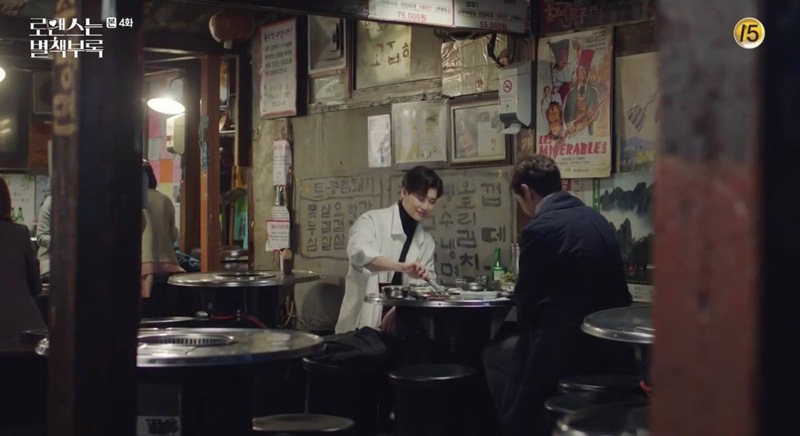 Cha Eun-ho (Lee Jong-suk) comes here with his boss Kim Jae-min (Kim Tae-woo) to have a drink after their meeting with designer Ji Seo-joon (Wi Ha-joon) at Green Cloud Coffee Shop [그린클라우드커피] in episode 4 of Romance is a Bonus Book/Romance is a Supplement/How To Publish Love (로맨스는 별책부록) (tvN, 2019) and they talk about missing author Kang Byeong-jun. 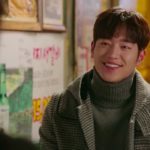 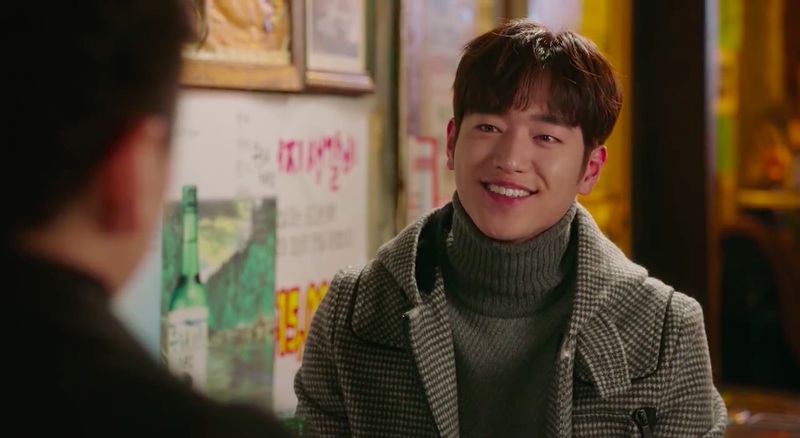 Lee Soo-jae (Yang Dong-geun) invites On Joon-young (Seo Kang-joon) to have a meal here together in episode 14 of The Third Charm / The 3rd Charm (제3의 매력) (JTBC, 2018), saying that he felt bad for not buying Joon-young a drink all these years, even though he was one of his inspirations/influences for his screenplays. 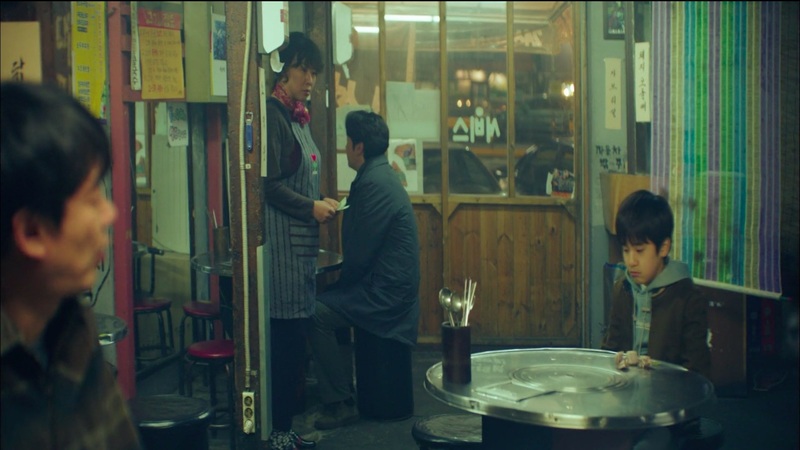 Later, history repeats itself when Joon-young helps pay for the meal and Soo-jae’s chauffeur. 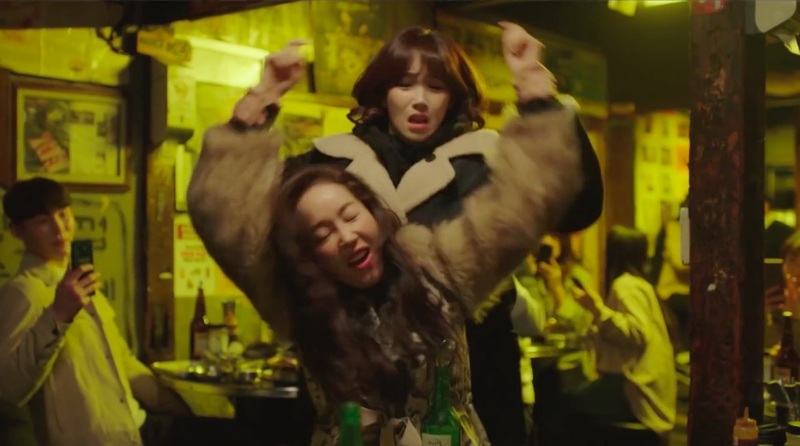 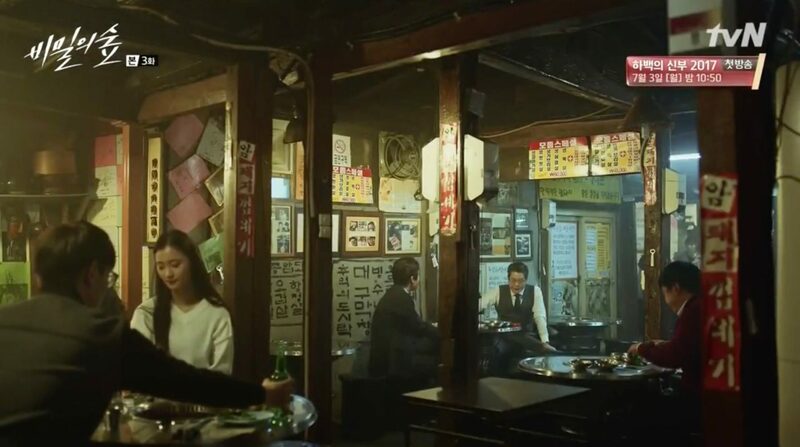 Han Yoo-kyung (Han Seung-yeon, formerly of Kara) comes here for a drink with her friend Kang Chae-won (Lee Yea-eun) in episode 1 of Twelve Nights (열두밤) (Channel A, 2018) on the second evening of her short 4-days stay in Seoul in 2010. 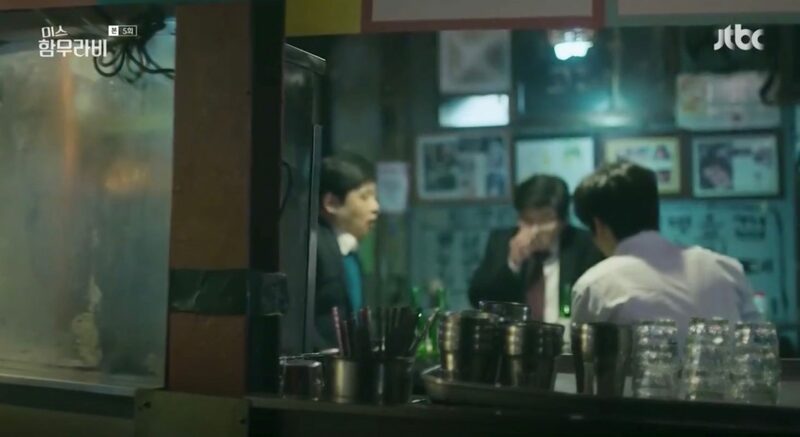 While on his way back home, Park Dong-Hoon (Lee Sun-kyun) calls his subordinate who has a drink here with two colleagues and asks him to apologize in episode 6 of My Mister/My Ajusshi (나의 아저씨) (tvN, 2018). 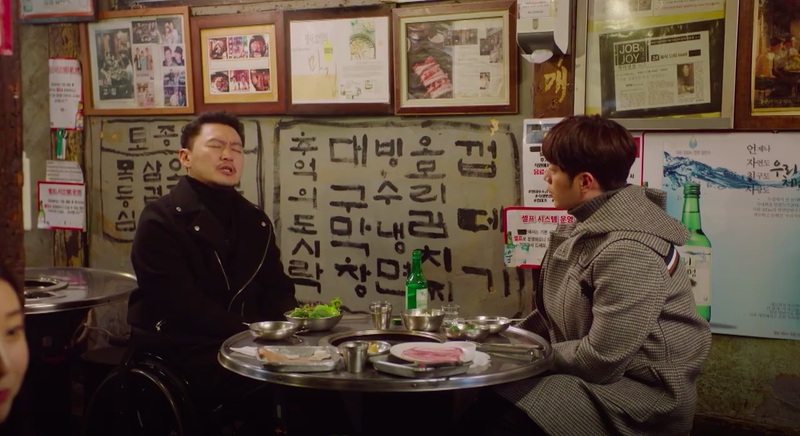 Judge Sung Gong-choong (Cha Soon-bae) meets up here with journalists in episode 5 of Ms. Hammurabi/Miss Hammurabi (미스 함무라비) (JTBC, 2018) to help him twist the accusations that he overworked a female judge. 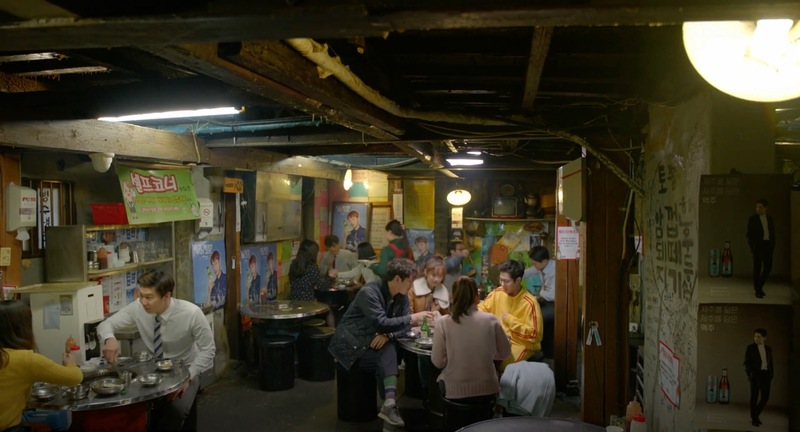 It appears as the ‘Entrails Restaurant’ where Jung-eum (Hwang Jung-eum) and her friend Choi Joon-soo (Choi Tae-joon) meet up for a drink in episode 1 of The Undateables/Handsome Guy and Jung-Eum (훈남정음) (SBS, 2018) and where she tells him about her first mortifying meeting with Hoon-nam (Namgung Min). 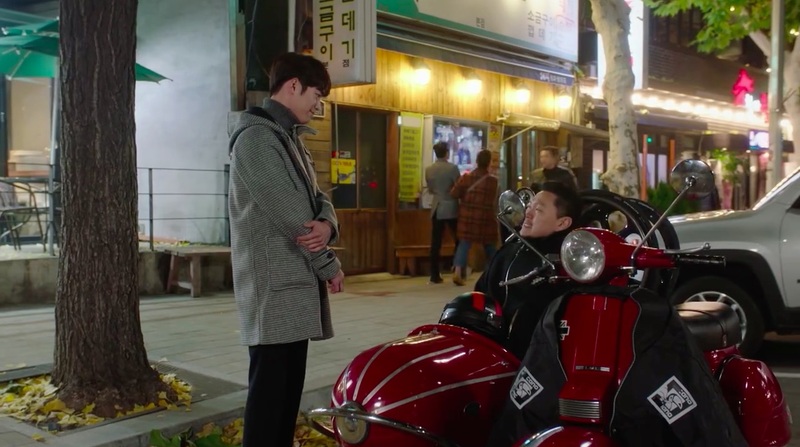 Doo Chil-seong’s (Jang Hyuk) men consult here in episode 5 of Wok of Love/Greasy Melo (기름진 멜로) (SBS, 2018) what to do with Seo Poong (Lee Joon-ho) and one proposition is to kill him. 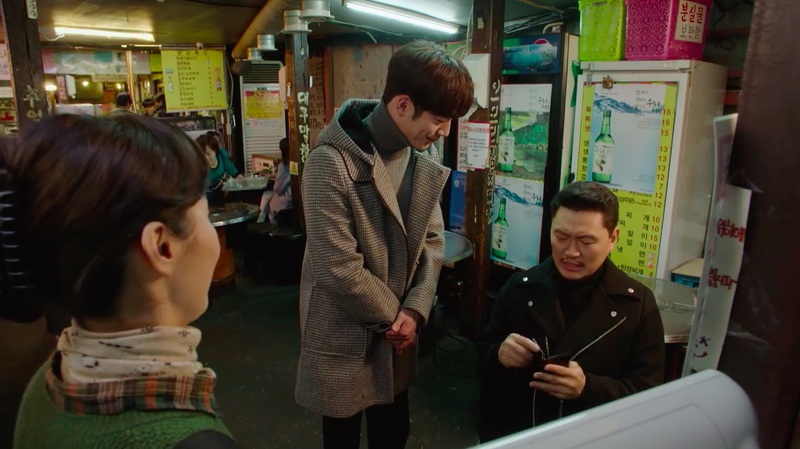 It is here that Han Seung-joo (Uee) decides in episode 2 of My Husband Oh Jak-doo (데릴남편 오작두) (MBC, 2018) that Oh Jak-doo (Kim Kang-woo) could be good husband material. 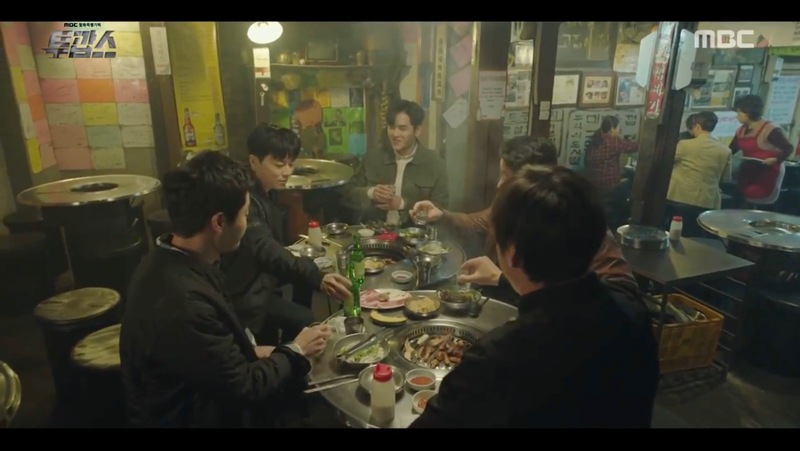 When the radio team is finally put together, they come here for their first team outing in episode 3 of Radio Romance (라디오 로맨스) (KBS2, 2018). 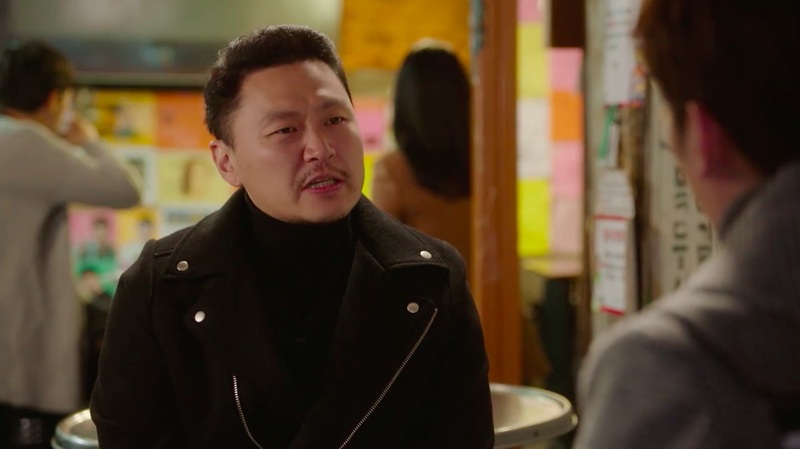 Park Gon (Park Sung-hoon) is actively trying to win over citizens for his redevelopment project and one of the places he does this is here in episode 15 of Black Knight: The Man Who Guards Me (흑기사) (KBS2, 2017-18). 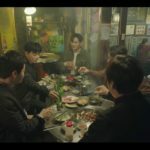 In episode 2 of Two Cops (투깝스) (MBC, 2017-18), Cha Dong-tak’s (Cho Jung-seok) team comes here for a welcome celebration for a new team member. 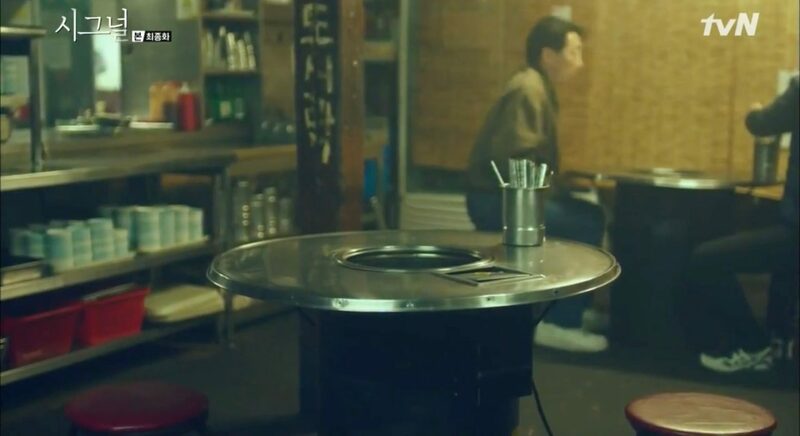 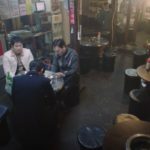 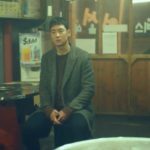 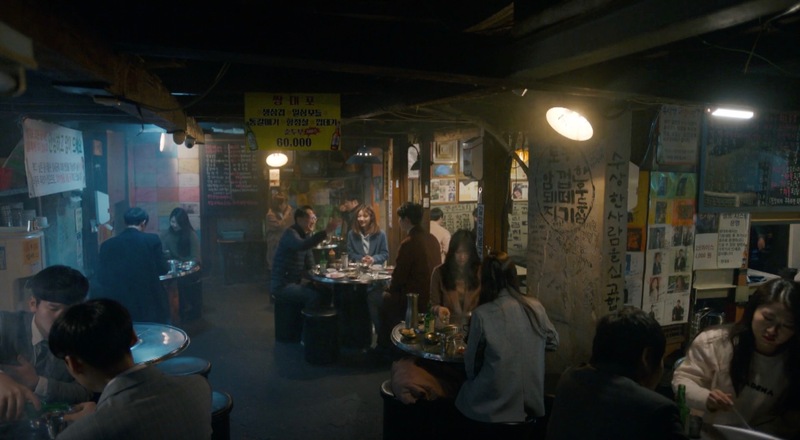 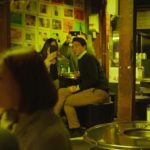 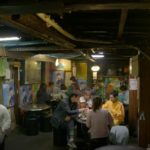 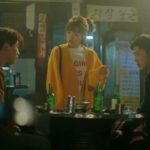 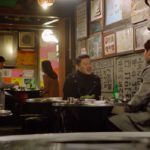 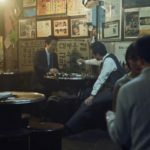 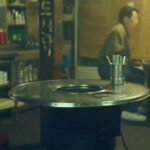 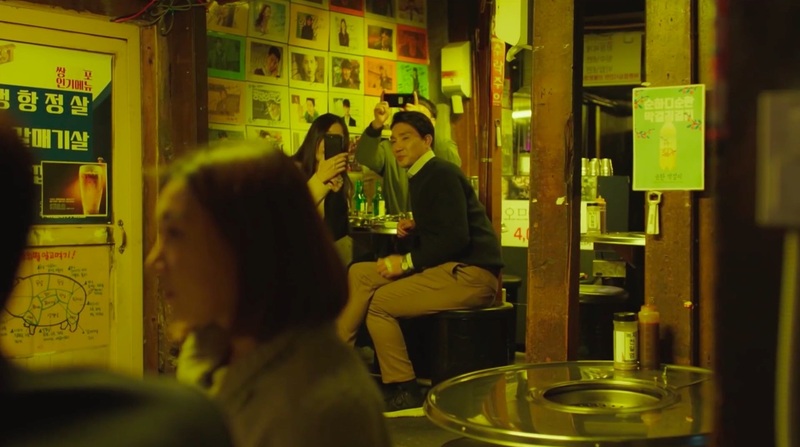 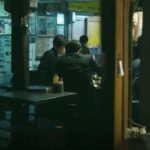 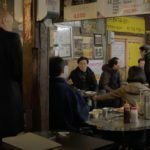 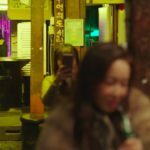 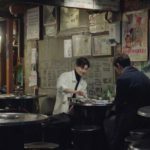 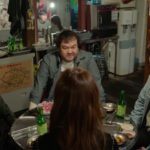 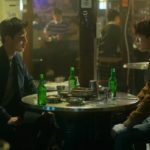 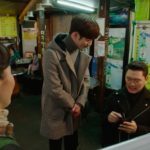 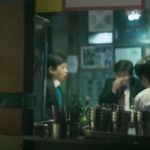 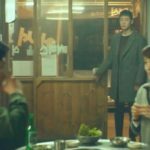 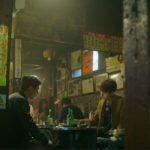 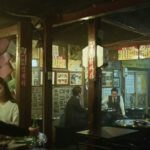 In episode 3 of Secret Forest/Stranger (비밀의 숲) (tvN, 2017), Lee Chang-joon (Yoo Jae-myung) and Kim Woo-kyun (Choi Byung-mo) come here for a drink. 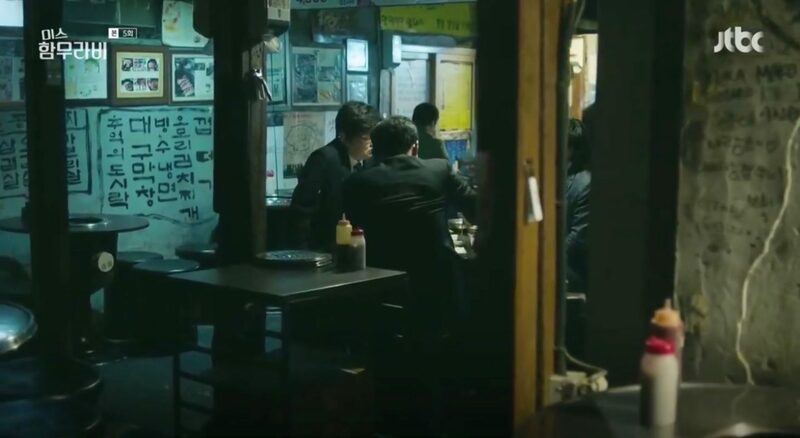 Noh Ji-wook (Ji Chang-wook) comes to drink here with Section Chief Bang (Jang Hyuk-jin) in episode 7 of Suspicious Partner (수상한 파트너) (SBS, 2017). 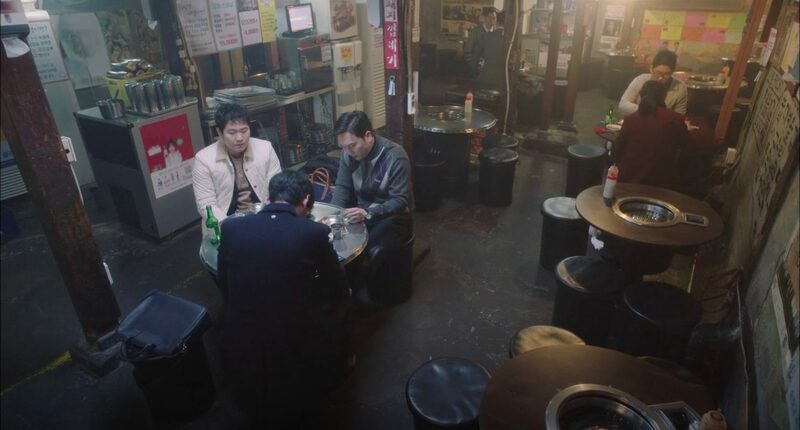 Park Sang-man (Kwon Hae-hyo) and Han Jung-tae (Lee Yoon-sang) also come here for a drink in episode 14 of Radiant Office (자체발광 오피스) (MBC, 2017). 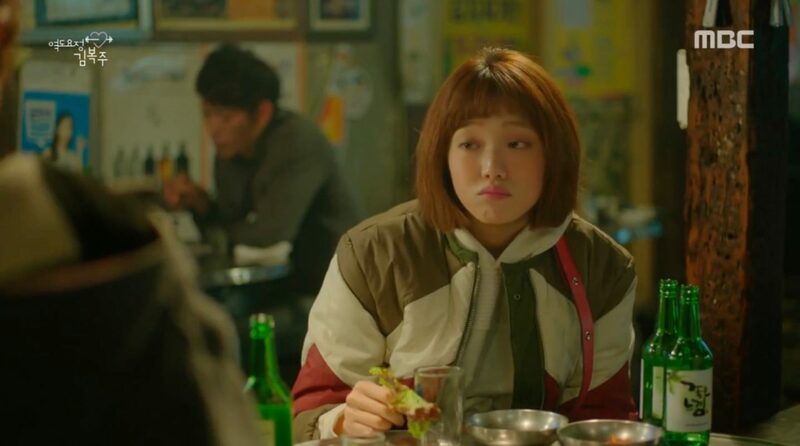 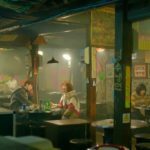 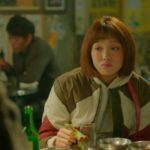 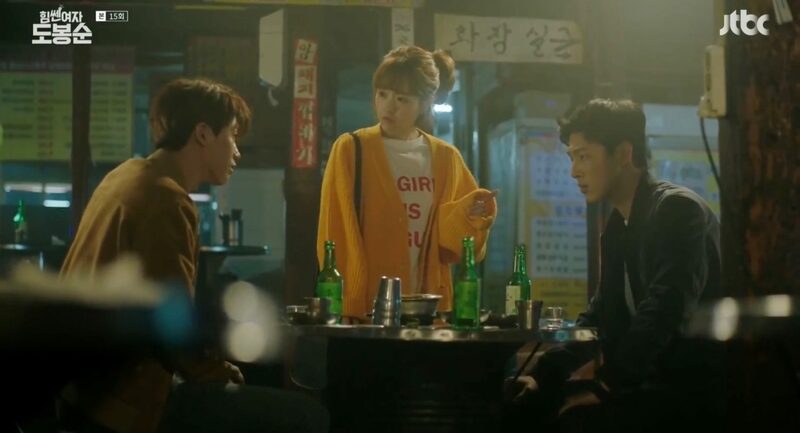 Kim Bok-joo (Lee Sung-kyung) and Jung Joon-hyung (Nam Joo-hyuk) go here for a drink in episode 9 of Weightlifting Fairy Kim Bok Joo<(역도요정 김복주) (MBC, 2016-17). 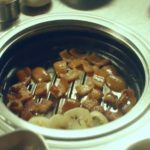 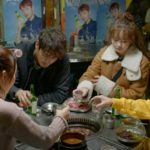 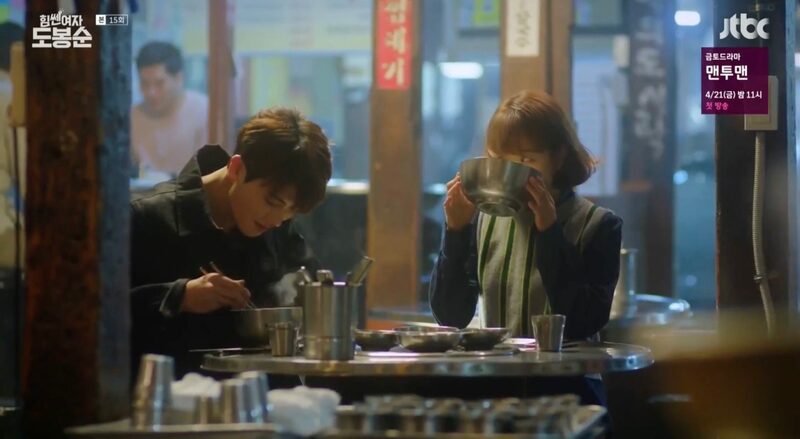 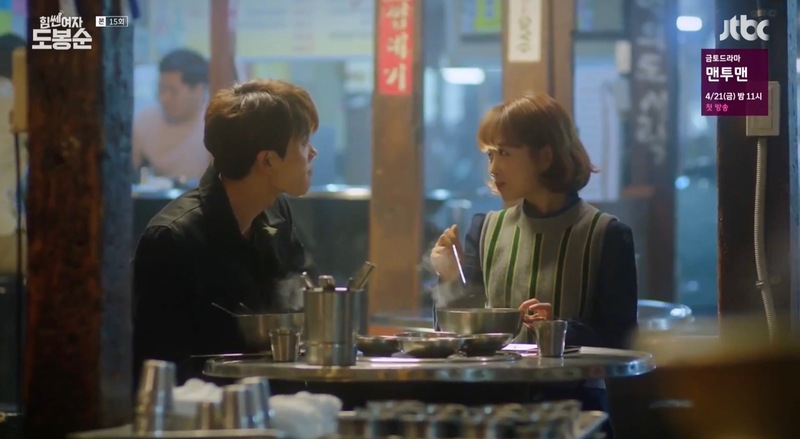 Do Bong-soon (Park Bo-young) and Ahn Min-hyuk (Park Hyung-sik) eat lunch here in episode 15 of Strong Woman Do Bong soon (힘쎈여자 도봉순) (JTBC, 2017). 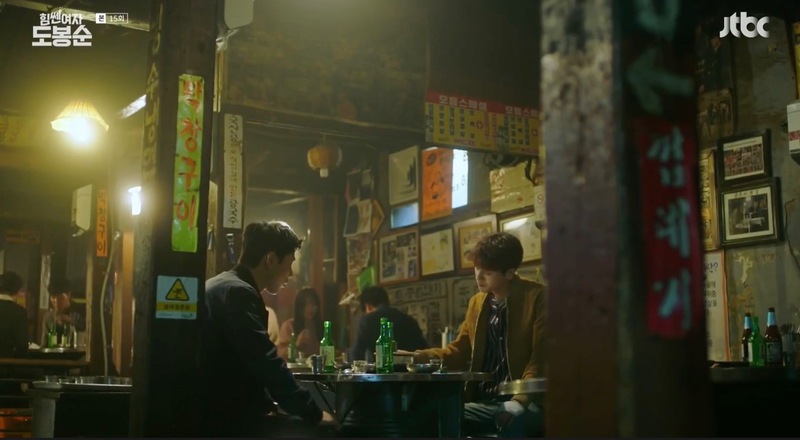 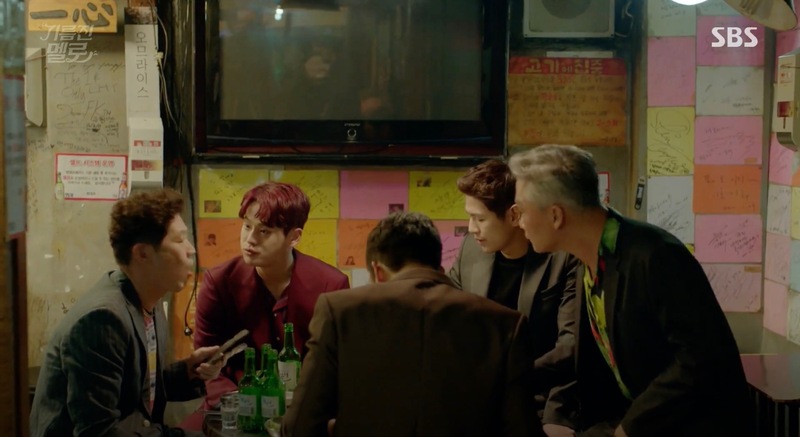 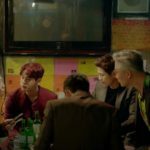 Later, Min-hyuk is back here with In Gook-du (Ji Soo) for a drink tensing up about Bong-soon who steps in just when they are about to have a fight. 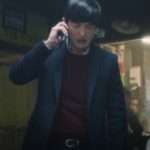 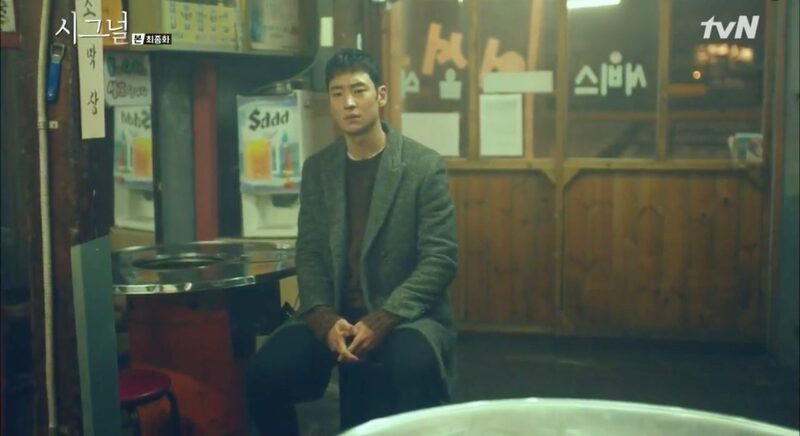 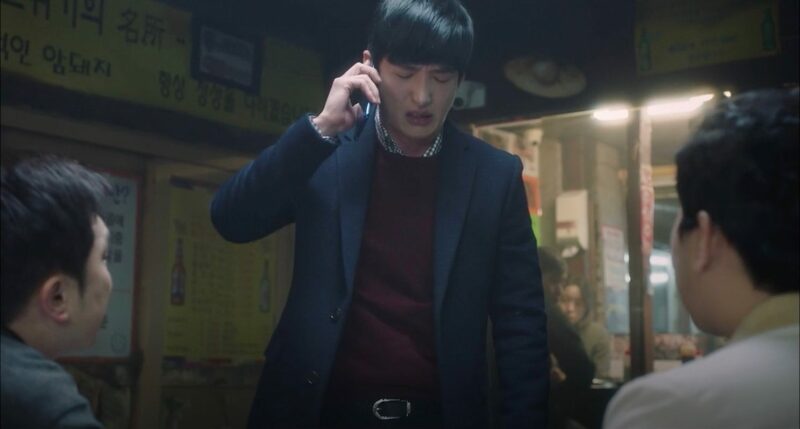 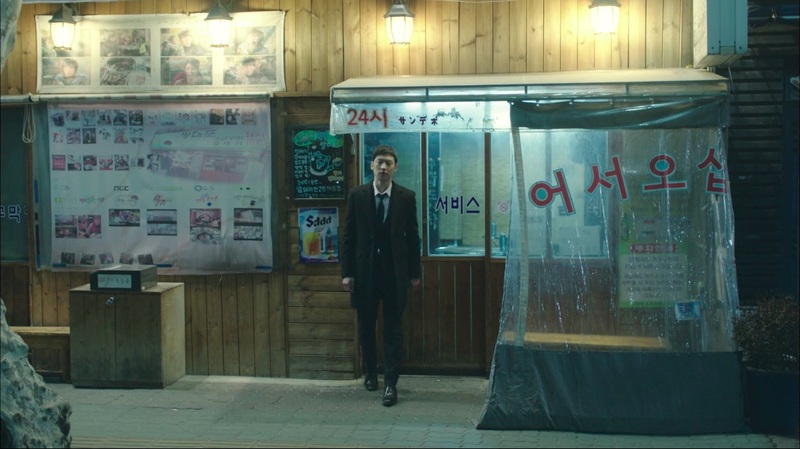 In Signal (시그널) (tvN, 2016), Park Hae-young (Lee Je-hoon) comes back to this childhood haunt, where Lee Jae-han (Cho Jin-woong) used to secretly buy him omelette rice meals. Hae-young also recalls his childhood memories in final episode 16, travels back in time to Jae-han and Cha Soo-Hyun’s (Kim Hye-soo) first date. 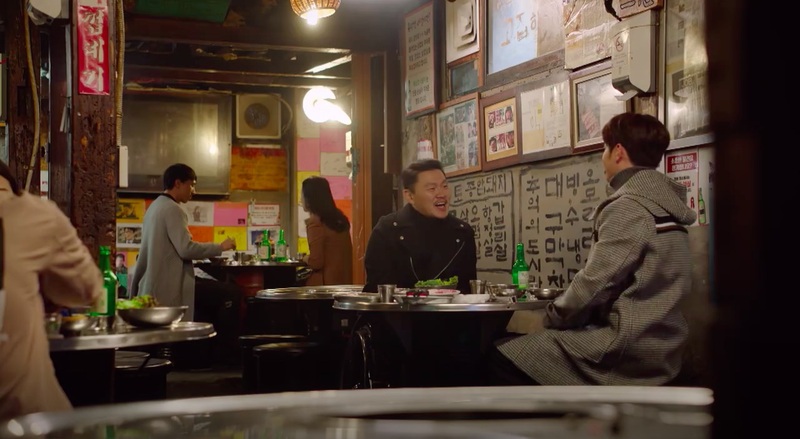 In episode 14 of in Gogh’s Starry Night/Gogh, The Starry Night (고호의 별이 빛나는 밤에) (SBS, 2016), Go Ho (Kwon Yu-ri), Kang Tae-ho (Kim Young-kwang) and his “rivals” meet up here for dinner. 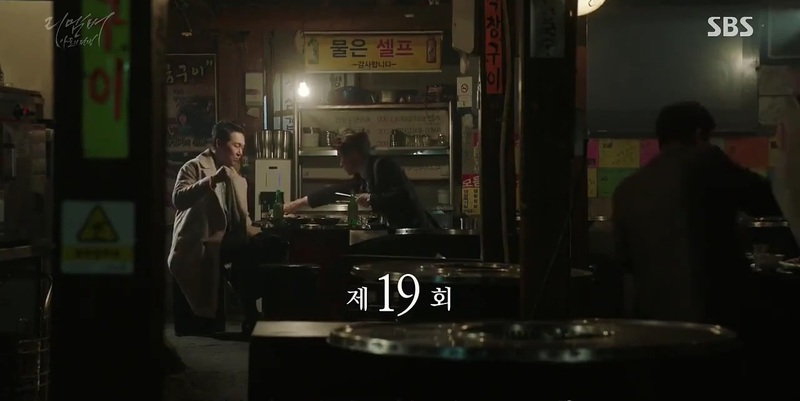 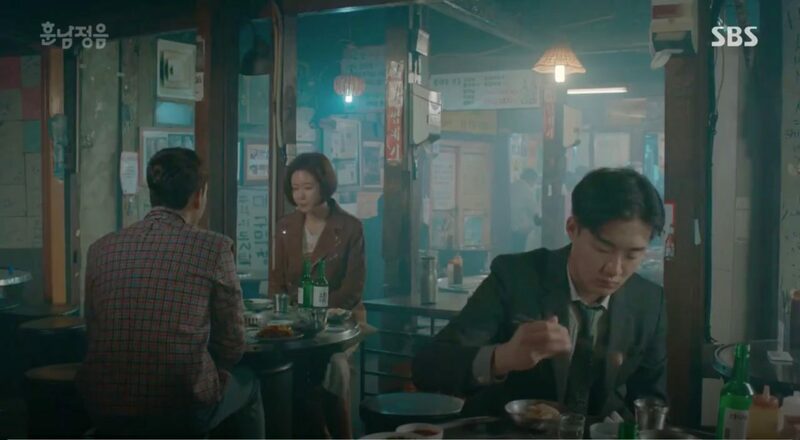 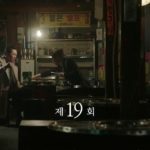 In episode 19 of Remember (리멤버) (SBS 2015-16), Attorney Park Dong-ho (Park Sung-woong) and Prosecutor Tak (Song Young-kyu) drink soju at this restaurant as they celebrate their alliance against Nam Il-ho (Han Jin-hee). 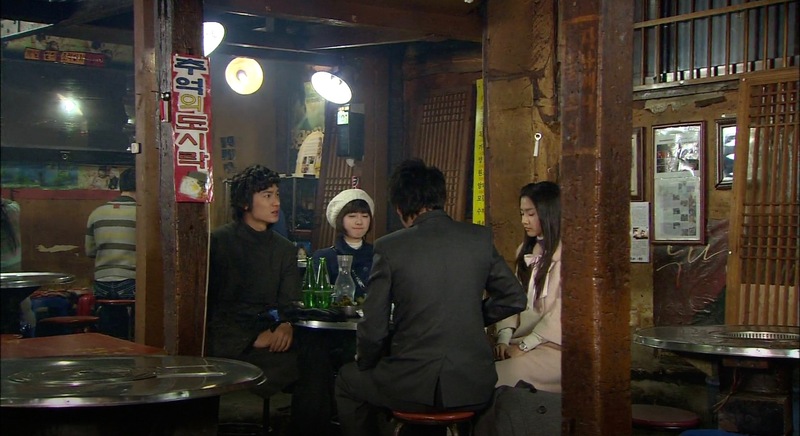 Koo Jun-pyo (Lee Min-Ho) and Geum Jan-di (Ku Hye-Seon) come to this restaurant on a double date with Chu Ga-eul (Kim So-eun) and her current boyfriend in episode 9 of Boys Over Flowers (꽃보다 남자) (KBS2, 2009). 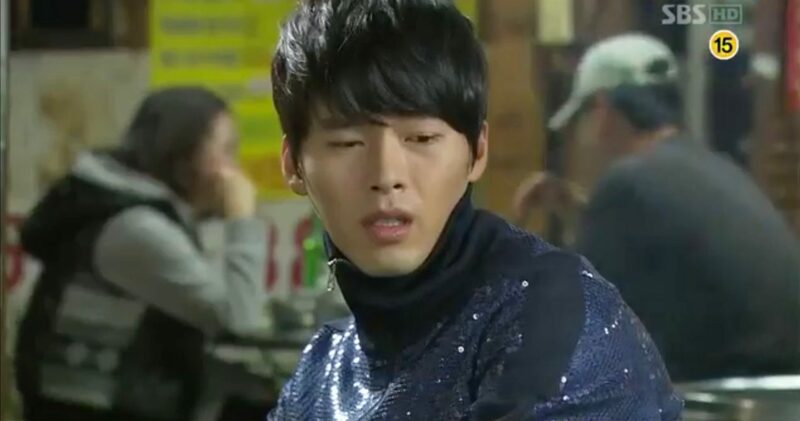 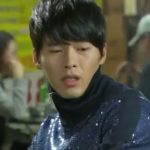 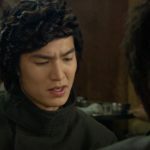 It is the first time that disgusted Jun-pyo is confronted with eating intestines and is also constantly provoked by Ga-eul’s boyfriend until he leaves. 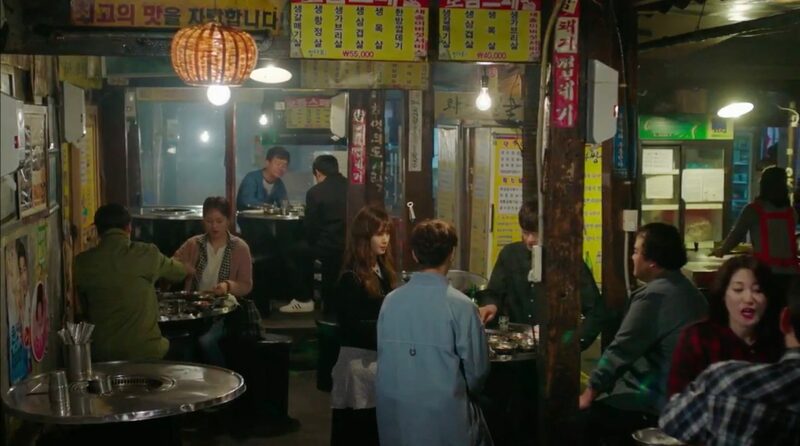 This restaurant also appeared in Wanted (원티드) (SBS, 2016); The King 2 Hearts (더킹 투하츠) (MBC, 2012); The Equator Man (적도의 남자) (KBS2, 2012); Fashion King (패션왕) (SBS, 2012); Flower Boy Ramen Shop (꽃미남 라면가게) (tvN, 2011); Crazy For You/Crazy for Love/Crazy in Love (사랑에 미치다) (SBS, 2007); Something Happened in Bali/What Happened in Bali/Memories of Bali (발리에서 생긴 일) (SBS, 2004); All In (올인/올 인) (SBS, 2003). 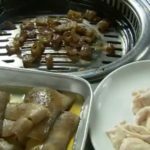 Ssangdaepo [쌍대포 본점] is located in Seoul’s neighborhood of Cheongpa-dong [청파동] in the Yongsan District [Yongsan-gu/용산구). 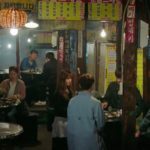 The exterior that is seen in The Undateables is not the real exterior of this restaurant. 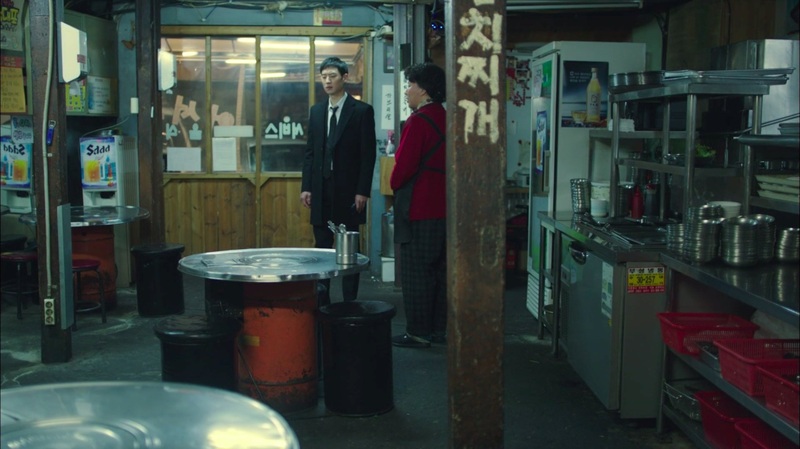 Sookmyung Women’s University Station [숙대입구역], Seoul Subway Line 4, Exit 9 or 10. 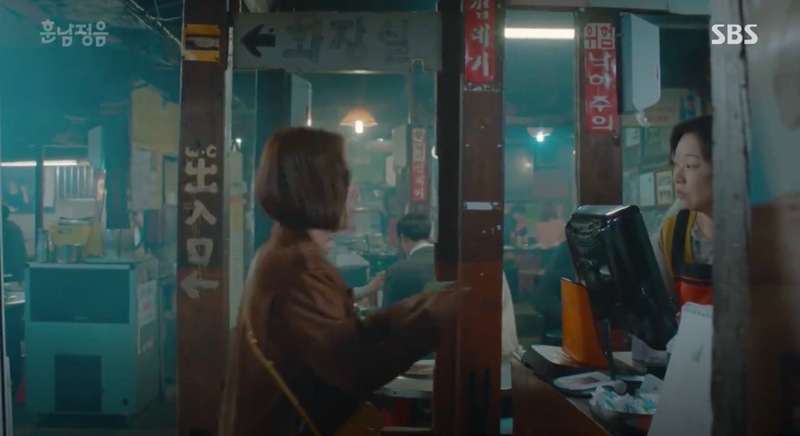 From exit 9, turn to the right and walk past KB Bank on the left. 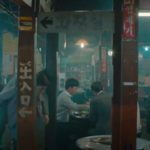 You’ll reach a crossroads with a tunnel (갈월동지하차도) on your left. 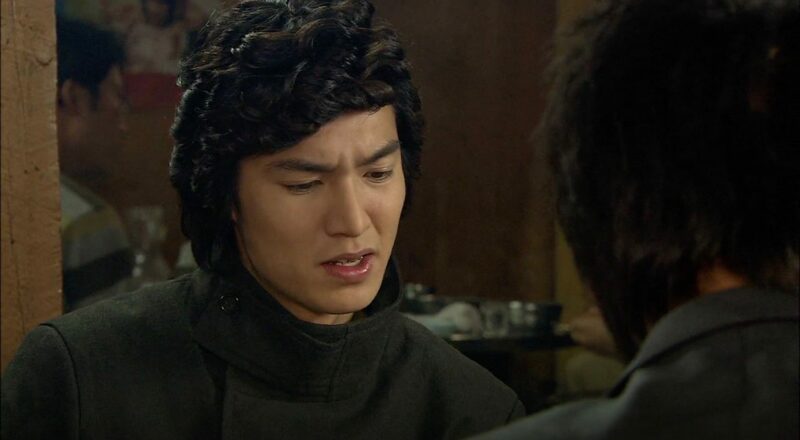 Walk under the tunnel (best to walk on the right side of the tunnel) and you’ll reach Cheongpa-ro (청파로) on the other side. 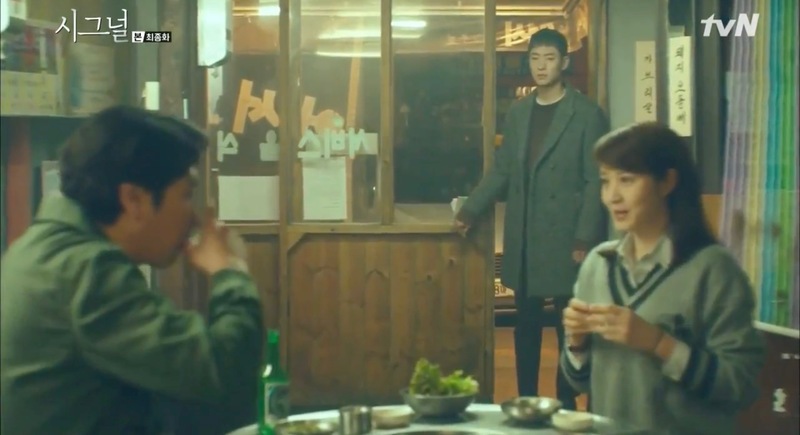 From the tunnel, cross the road to the opp side and turn to the right at Tous Le Jours bakery. Keep walking straight, and the restaurant will be on your left. 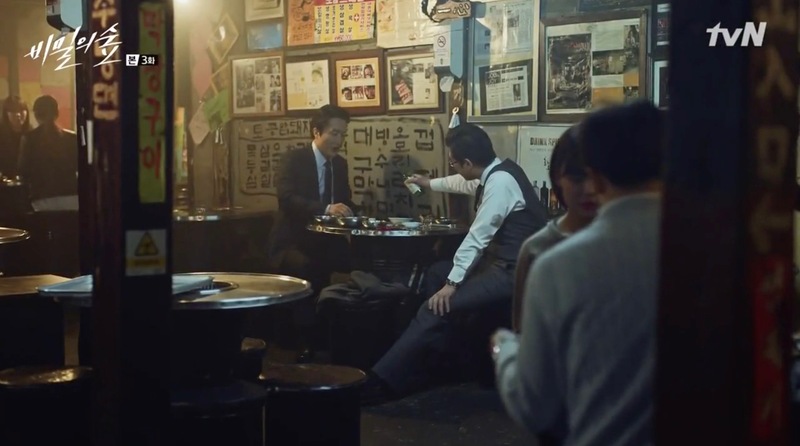 If exiting from exit 10, turn left and look out for ’21세기축산물백화점용산점’ on your right. 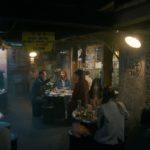 The tunnel will also be on your right instead. 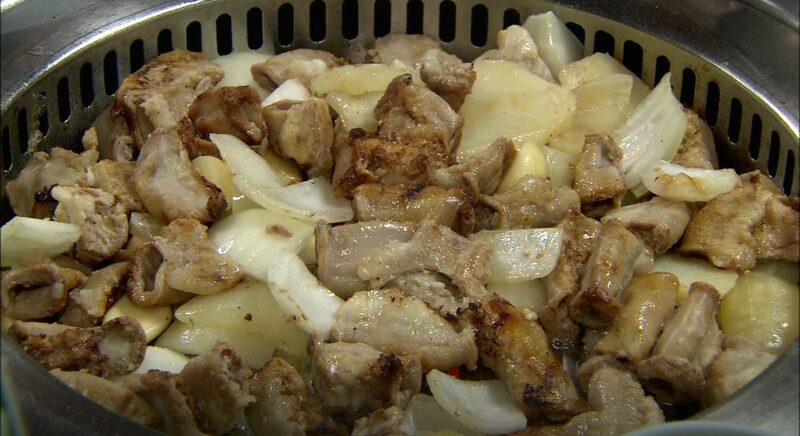 Proceed to follow the instructions after that to get to the restaurant. 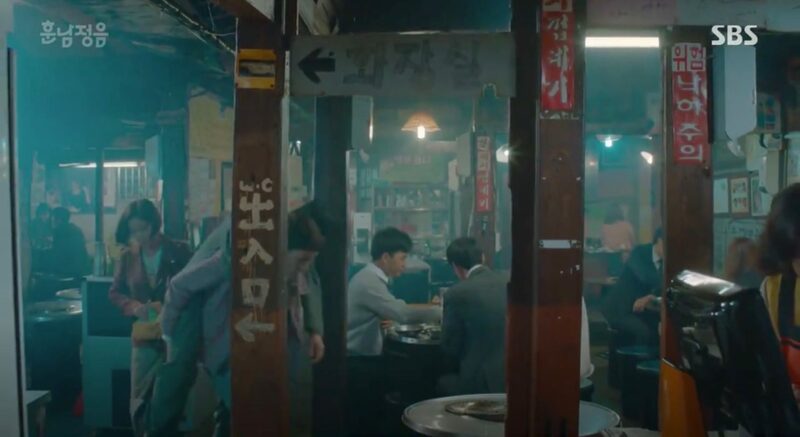 The little alleyway that young Park Hae-young and Lee Jae-han (Cho Jin-woong) walk on to get to the restaurant in Signal (시그널) (tvN, 2016) is just slightly further ahead, between units 291-1 and 293.